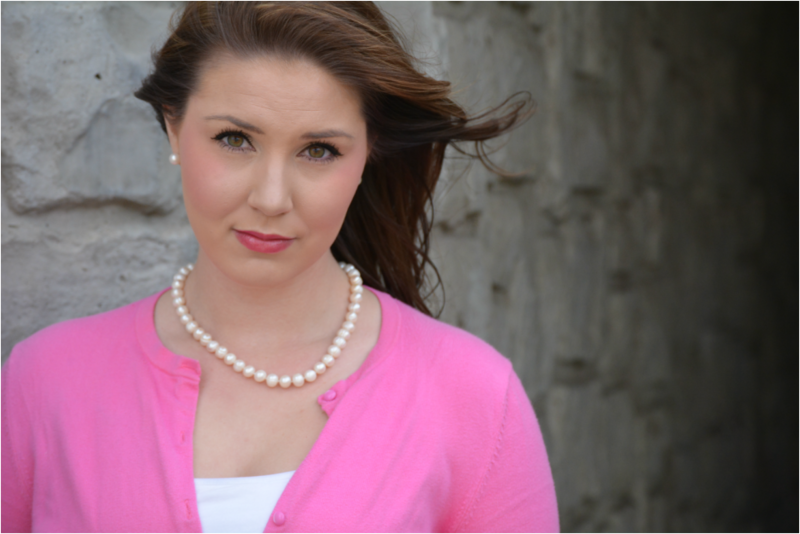 ﻿ Mezzo-soprano, Ashleigh Janda is a senior who is attending Colorado State University. She is currently pursuing a Bachelor of Arts degree in Music on the performance track, as well as a minor in Leadership in the Arts and Administration. Ms. Janda has made the Dean’s list all 5 semesters that she has been enrolled at CSU so far, plans to continue to do so throughout her educational career, and will graduate with honors in May 2016. Ashleigh’s passion for singing and music started at a very early age- in fact, many of her family members say that she started singing before she could talk! She was born into and raised by a family of musicians. Her grandmother is a voice teacher and started her off singing simple Disney songs. At age 10, when she performed “You’re Never Fully Dressed Without A Smile” from Annie at a family reunion talent show, she fell in love and hasn’t stopped wanting to perform since then. As Ms. Janda grew up, her love for music was wonderfully fostered and nurtured by her loving and supportive family- they took her to the symphony, the ballet, the opera, she saw plays on Broadway, and attended concerts and performances- anything musical. Then in 2007, she saw her first opera- Puccini’s Madame Butterfly and it forever changed her. The combination of acting, costumes, set design, lighting, and beautiful music was everything she wanted and from that day forward, her life would always include opera. Ashleigh’s opera roles to date include La Badessa (Suor Angelica), Suor Dolcina (Suor Angelica), Cercatricci Primo (Suor Angelica), and the Third Spirit (Cendrillion). She has also performed the role of Frasquita (Carmen) in CSU’s Spring opera scenes. In addition to that, Ashleigh also performs regularly in Voice Area Recitals at CSU and competes in competitions such as Classical Singer and NATS (National Association of Teachers of Singing) whenever possible. Ms. Janda also was a selected participant in Orvieto Musica- The Art of Song’s 2015 season in Orvieto, Italy. Currently, Ms. Janda is an active member who is involved in the Colorado State University Ralph Opera Center’s opera theatre, CSU’s Concert Choir, and serves as the Treasurer for her local SNATS (Students of National Association of Teachers of Singing) chapter. She is also involved in CSU’s unique LEAP program as a part of her minor (Leadership in the Arts and Administration), which focuses on marketing, funding, advocacy, and administration for the arts which has helped Ashleigh immensely in building her budding classical singing career. Recently, she has been cast as the understudy for Hansel in CSU’s Ralph Opera Center’s 2015 production of Humperdink’s Hansel and Gretel, Perichole in Offenbach’s Perichole as a part of CSU’s Fall Opera Scenes, and invited to perform in Colorado State University’s Fall Aria Workshop. Want to hear Ashleigh perform live? Sign up here for updates about upcoming performances! Copyright © 2015 | Ashleigh Janda, All rights reserved.